iDancehallReggae.com::Caribbean Lifestyle Media::: BUZzer: RAPPER TRINA TO BE HONORED AT THE EME AWARDS IN JAMAICA? 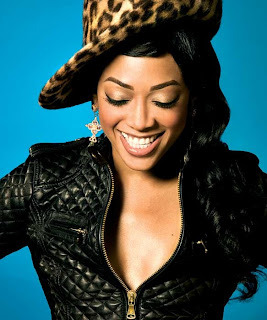 BUZzer: RAPPER TRINA TO BE HONORED AT THE EME AWARDS IN JAMAICA? IMAGES NEWSLETTER: Excellence in Music and Entertainment (EME) Awards Founder and Chairman Richard 'Richie B' Burgess announced recently that the 2011 'International Friend of Reggae Honoree' will be popular American Rapper TRINA. This year’s seventh annual EME Awards is set to take place on March 12, 2011 at The East Lawn of the historical Devon House site, Hope Road, Kingston. Previous International Friend of Reggae Honorees were John Legend, Missy Elliott, Estelle, Jazmin Sullivan, Akon and multiple Grammy award-winning artiste India.Arie who was in attendance last year and gave a most memorable performance. The 2011 Excellence in Music and Entertainment (EME) Awards will also recognize the top performers within the Jamaican Recording Industry. “Some of the icons of our rich musical heritage as well as the hottest newcomers around will receive the recognition they so rightfully deserve, for providing us with wonderful musical gems throughout their careers”, Burgess noted. There are approximately 30 award categories including DJ of the Year, Best New Artiste, Song of the Year, Vocalist of the year and Producer of the year among others. Winners will be determined based on their performance on The Weekly Jamaica Music Countdown (Charts), votes via texts and votes at the website www.emeawards.com. This year’s event will include Road Shows, a Pre-Party, the Awards Ceremony and an After Party. North America's BET Networks was among the international media that covered the spectacular event last year.